One reason egg whites are so low in calories is that they're practically pure protein. Almost no fat or carbs whatsoever! 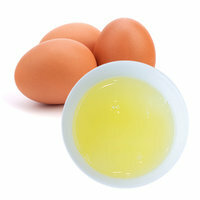 You could have SIX hard-boiled egg whites for about 100 calories, with nearly 22g of satisfying protein. 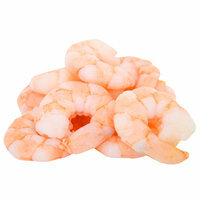 Enjoy them at breakfast, as a midday hunger buster... even as a lunch ingredient! And feel free to use liquid egg whites in any recipe that calls for egg substitute (and vice versa). Pro tip: Don't save the turkey roasting for November! 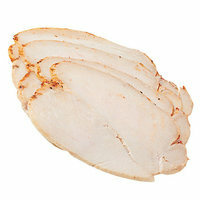 Pick up a whole turkey breast or a pack of cutlets for deliciously healthy protein year-round. You know those turkey sandwiches you love to make from Thanksgiving leftovers? They’re just as good in September! And each ounce of turkey has a little over 40 calories and over 8g protein. For a fast fix, always keep deli slices on hand... So good wrapped around pickles, cucumber spears, and light string cheese! This fish couldn't be easier to get into your life, especially if you pick the pouched varieties. No draining required: Just tear and go. Where else can you find a whopping 16 grams of ready-to-eat protein in an 80-calorie, grab & go pack? 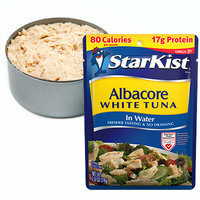 Mix it with some creamy Dijon and light mayo, or reach for flavored tuna pouches like StarKist Tuna Creations. Perfect for salads, slaws, wraps, stuffed veggies, casseroles... Talk about versatile! Today is September 14th, National Cream-Filled Donut Day. Let’s mix it up with red velvet donuts drizzled with cream-cheese icing! Pass the protein! Click "Send to a Friend" now.